London, Sotheby’s, “The Property of a Gentleman,” December 8, 1965, lot 69: “JEAN-HONORÉ FRAGONARD . . . 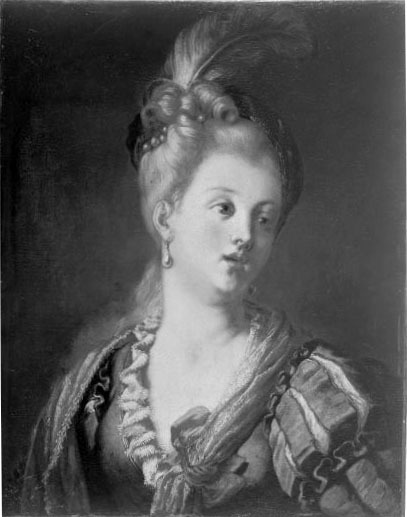 PORTRAIT OF A YOUNG WOMAN / A young woman with blonde hair, half length, turned to the right, wearing a low-cut blue dress with slashed sleeves, a yellow stole tied with a red ribbon and a blue feathered hat. Oval 29¼ in. by 23¾ in. (See illustration).” Sold to Mackintosh for £2,800 ($7,840). Mathey, “La Comédienne” (1967), 91. Macchia and Montagni, L’opera completa di Watteau (1968), under cat. 3o-C. When this painting came up for sale in 1965, it was attributed to Fragonard, the same attribution as the picture now in the Fogg Museum (our copy 2). Unlike Watteau's rendering, here the figure is reduced to bust length, and her arm and hands omitted. New York, art market, c. 1895; bought by Grenville L. Winthrop. New York, collection of Grenville Lindall Winthrop (1864-1943; lawyer). His gift to the Harvard Art Museum in 1943. Wolohojian, A Private Passion (2003), 12. 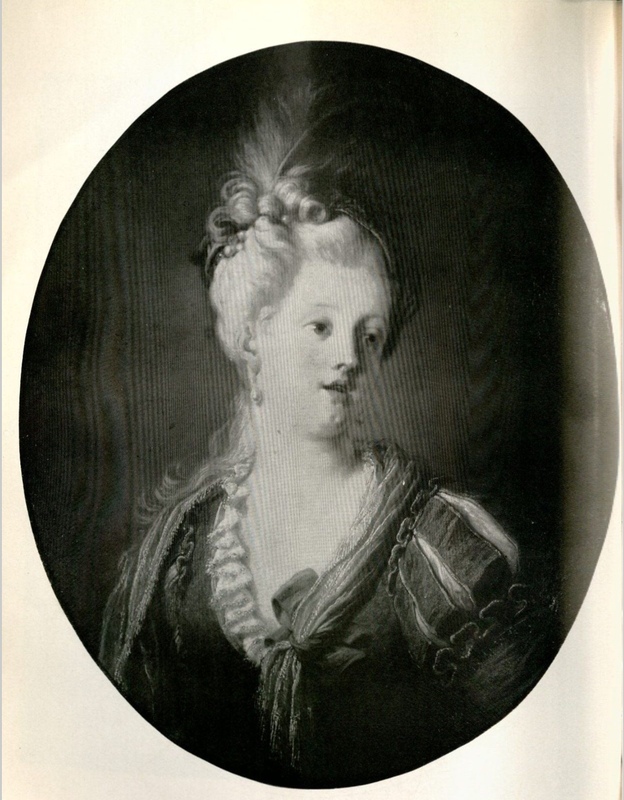 When Winthrop bought this picture in 1895, it was attributed to Fragonard. It was still classified under that artist’s name when it entered the Fogg Museum in 1943. After Mathey published Watteau's original painting, the Fogg pictures was reclassified as a copy after Watteau. Like the other copy, it is reduced to just bust length, and the worman's arm and hands are omitted. It is also smaller than the other two versions.